The change in results perhaps indicates a shift in the way cycling, and in particular racing, is viewed in Britain. Although the victories achieved by British riders in 2014 fell short compared to previous years, visits by the Giro d’Italia and Tour de France have further established the UK as a thoroughly capable host of the biggest races, and with an almost unlimited supply of eager spectators. Those fans are ever-more knowledgeable about the sport, and public interest has expanded well outside of the Tour de France. You like your races to be exciting, innovative and with great riders putting in great rides, and this has led to some new events featuring in the top three in some categories. 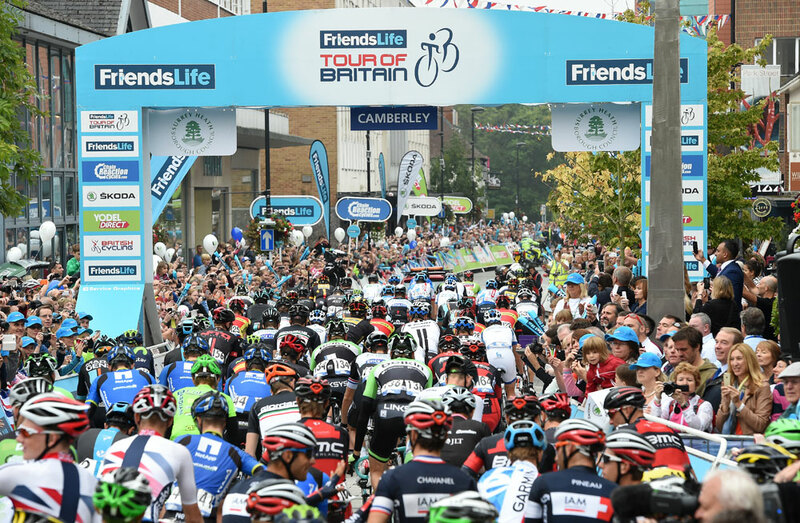 The Tour of Britain may have been joined on the UK race calendar by a selection of other well-organised, televised, high-UCI-ranking races but it has remained the UK’s number one race. Over the past 10 years, the ToB has matured into an attractive stage race that this year spawned both the men’s time trial and road race world champions. If you want to win the rainbow jersey, come and ride the ToB. The inaugural running of the Women’s Tour (of Britain) was a hit with riders and fans alike. With a worthy winner in Marianne Vos, it sits comfortably in second place in your voting. 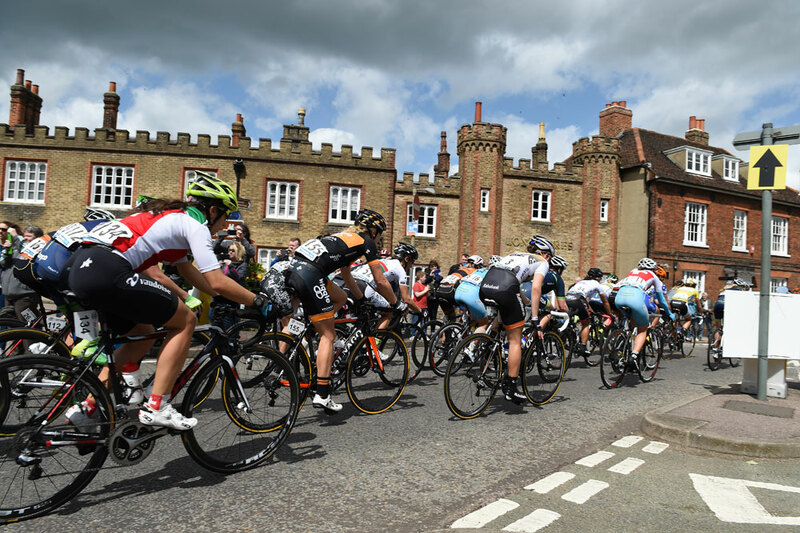 Third is the RideLondon-Surrey Classic, the London 2012 legacy road race that has become the UK’s premier single-day event. Honourable mentions: The British road race champs, Lincoln Grand Prix and Hill-climb National Championships all received a good number of votes, although we can report that the “Tour de Bangor Pubcrawl stage 5: The baby oil challenge” inexplicably only got one vote. We can’t recall that one being televised. There’s always next year. This category provides the biggest upset of our 2014 poll — you voted the Vuelta a España your most exciting international stage race. Yes, the Vuelta. That’s the one with wide, featureless roads and no spectators, where in the past even the riders have fallen into a ditch to try to put an end to three weeks of misery. 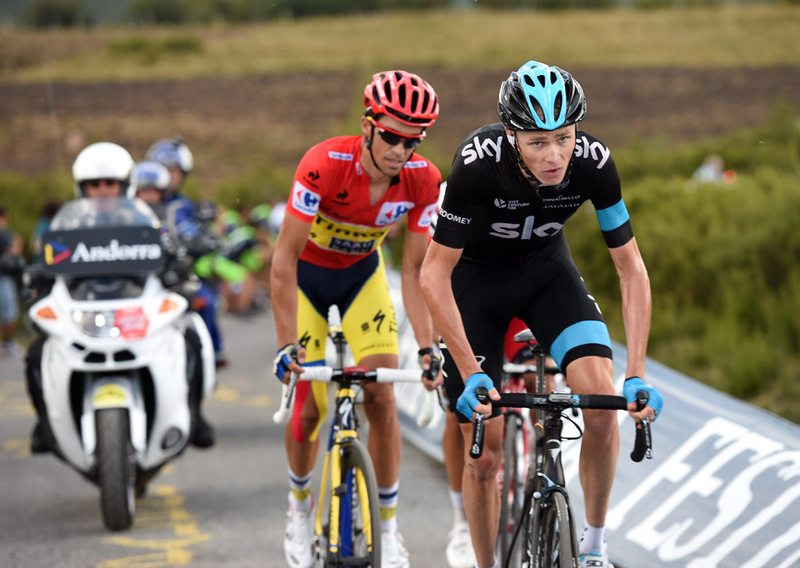 The Vuelta topping the poll in 2014 is an odd result considering that both the other Grand Tours started in the UK. What does this mean? That starting a big race in Britain has a negative effect on its popularity? We can’t believe that. It probably has more to do with the Vuelta featuring Chris Froome and Alberto Contador fighting it out until the bitter end, providing an entertaining battle that was ultimately lacking in both the Giro and the Tour. Either way, you’ve voted for substance over style. Honourable mentions: The Grand Tours nicked pretty much all of your votes between them, and the only other significant entry was the Critérium du Dauphiné. Andrew Talansky provided the major upset in the race, ambushing overall leader and favourite Alberto Contador on the final stage to take the victory. No surprise that the Queen of the Classics, Paris-Roubaix, topped this category by scooping half of all votes — as it has done since our annual poll began. Niki Terpstra took the victory, putting in a solo move to defy pre-race favourites Fabian Cancellara and Peter Sagan. British fans had much to cheer about too, with Geraint Thomas and Bradley Wiggins in seventh and ninth place respectively. Wiggins has marked out the 2015 edition of Paris-Roubaix as one he’d like to win, potentially making for an even more popular Sunday in Hell. 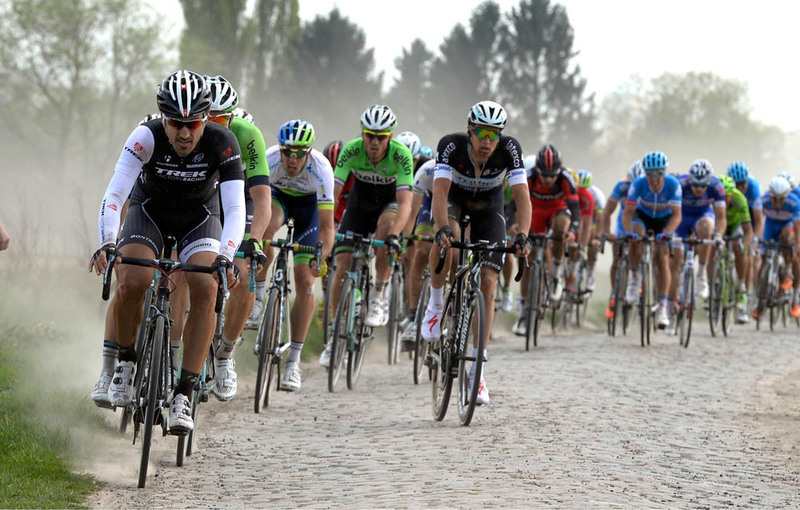 The Tour of Flanders was best of the rest in second place, with the men’s World Championship road race hitting third place. Honourable mentions: Wiggins’s triumph in the World Championship time trial gave the road race a run for its money, just missing out on the top three. The women’s Worlds road race also figured in your voting, as did Il Lombardia. The FriendsLife Women’s Tour grabs the prize for the most innovative cycling event. The first running of the five-day event based in eastern England could not have been better, with a star-studded start list, roadsides packed with supporters, good television coverage and even better racing. Overall winner Marianne Vos said: “This race is setting the standard for every other now, there’s no race that can match the organisation, the attention or the crowds.” Bravo. Vos also won the event in second place, La Course, which took place on the Champs-Elysées prior to the final stage of the Tour de France. In third place is the Tour itself. Organiser ASO usually pulls something out of the bag to keep the 101-year-old event fresh, and it was Yorkshire that provided the backdrop to this year’s fantastic opening stages. Honourable mentions: The Tour of Britain placed ahead of the Giro d’Italia and Vuelta a España in this category, which begs the question as to whether the Giro and Vuelta are running out of new ideas as the ToB flourishes. The South East Women’s Time Trial Series also gathered up a few votes, evidently filling a gap in the calendar. Digital broadcaster Eurosport is again the number one for TV cycling coverage, with unrivalled live programming backed up by highlights and in-depth analysis for the bigger races. Eurosport seems to have expanded its pool of commentators and experts in recent seasons, with several ex-pro riders now on its books giving insight into the workings of the pro peloton. Anyone that can provide unbroken commentary for the 6.5-hour World Championship road race deserves some kind of accolade. ITV4 is a relatively close second, attracting 41 per cent of the votes to Eurosport’s 51 per cent. The BBC trails in with just 1.8 per cent of votes, largely for its Commonwealth Games coverage. Honourable mentions: We suspect that more than a few people should have voted for what they really watched: a hooky East European website offering a fuzzy free video feed peppered with pop-up adverts promising to help you meet ‘Mature Singles in Birmingham’. Really, you should be ashamed of yourselves. Watch the proper telly.